This room's distinguishing feature may be the color blue, but the courtyard view and regal canopy bed are what makes this room stand out. 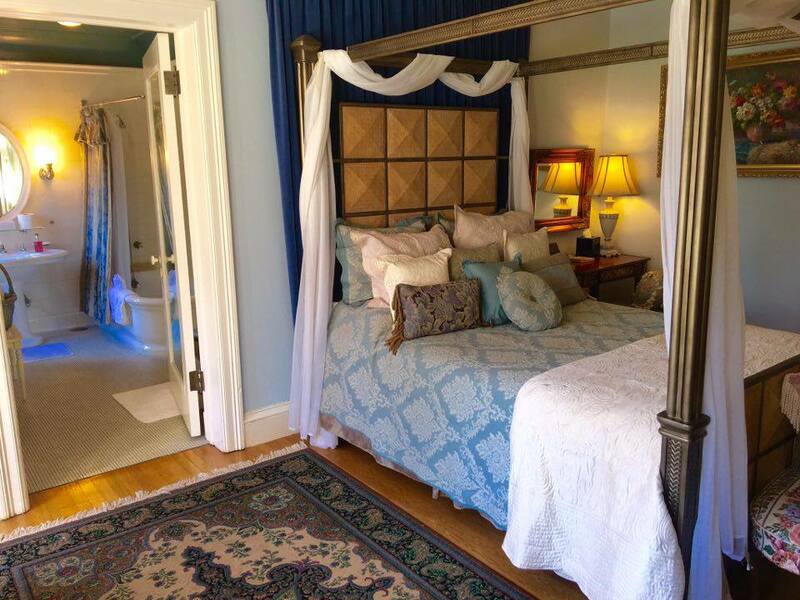 This room comes with a queen-size bed, original private bath with a deep soaking tub and shower. This room is on the 2nd floor and was used as a guest room when the Thornes lived at Thornewood Castle. Featuring some of the most beautiful 16-century stained glass windows, The Blue Room can be bright and sunny for reading a good book by the windows, or warm and secluded for restful and romantic evenings.